Little Green Junior School | What are we reading in Rowan? Rowan wanted to share the books that they are currently reading. What a great range of texts – picture books, novels, free verse poetry and non-fiction. Keep up the good work team! My daughter has finally found a book that she can’t put down. I was delighted when she voluntarily discussed it with me and spent her Christmas vouchers on the sequel. Let’s hope this will inspire her to be more open-minded with future book choices. Thank you Mr Hyde for your persistent encouragement to enjoy reading! I highly recommend The Goldfish Boy as it has lots of adventure and mystery. The Goldfish Boy is also great for all ages! I have just finished The Skylarks War and it is amazing! I also recommend ‘The Gauntlet’, ‘Moonlocket’, ‘The Many Worlds of Albie Bright’ and ‘The Day the Crayons Came Home’. Everyone keep reading! I am currently reading a challenging book called the Hobbit. It is quite hard to get into, but the songs and riddles are great. 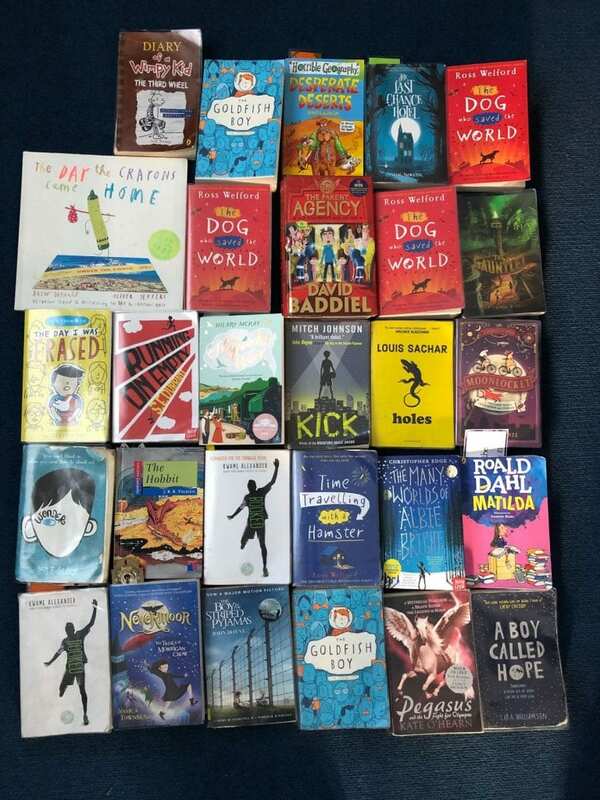 I would strongly recommend ‘Rooftoppers’ and ‘The boy who sailed the ocean in an armchair’.📘📕📔📖Keep reading, and remember the Reading Review is a great way to find the book just for you!!!!! Thanks for sharing your reviews and thoughts. It is so lovely to see such positivity around reading and it makes me a very proud teacher indeed. ‘The Many Worlds of Albie Bright’ is certainly one of my favourite children’s books Beth – I’m glad you enjoyed it! Keep persisting with ‘The Hobbit’ if you can Danielle, and ‘The Goldfish Boy’ is a great read Lucia. At the moment I am reading The Island at the End of Everything and I am finding it enjoyable to read but I dont want to give the plot away! I recommend it to anyone who needs a good book to read. Right now Iam reading the train to impossible places. It’s a cleverly illustrated book and the storyline is very humorous. I’d highly recommend it.